Transit directions for Apple Maps have recently expanded to Belgium, Manila in the Philippines, Switzerland, Wyoming, and Iowa, Apple confirmed today in an update to its Feature Availability page for iOS. Transit directions were added to Apple Maps in 2015 for a handful of cities, and since then, Apple has been working to expand the feature to additional areas. Transit information is now live in dozens of cities and countries around the world. This should go at a MUCH higher pace! I'm working sometimes with a company called HERE maps, and their database is so vaaaaaaaaastly bigger than what apple is offering, it's really painful to watch. Working at a higher pace just allows for more mistakes to be made more quickly. "Bigger" doesn't always mean "better." It's tiny - probably took them all of 30 minutes to make all the graphic assets required, write the code, and debug. Love Field is the airport where Kennedy arrived in Dallas on Air Force One. It is also where LBJ was sworn in as President on board Air Force One after the assassination. Still nothing for Incheon International airport (ICN Seoul, Korea). It’s one of the largest and busiest airport in the world. With its many terminals, restaurants, hotels, shopping and museums, one would think Apple maps would have already mapped it. It's mind boggling that the busiest airport in the country (ATL) just got added now. I'm pretty sure it isn't just simply creating a map. There needs to be some sort of framework to keep it up to date and accurate. Businesses move, open, close. Operating hours change. Construction -- frequent at big airports -- often forces temporary relocations or closures. Heck, here's one example: United Airlines' lounges at SFO. They had a couple, closed one down for renovations, temporarily relocated the closed lounge to another lounge, then finally reopened. Today, the brand new Polaris Lounge (business class) is in a prime location with lots of space. But it only recently opened, maybe in the past six months. Shortly after the new Polaris Lounge I believe the two other locations flip-flopped and one was shut down or scheduled for a renovation as well. All of this needs to show up on Apple Maps, Google Maps, flysfo.com, etc. in a timely manner since the activity happens within just a couple of weeks. Online mapping services can't wait two years for another walkthrough. 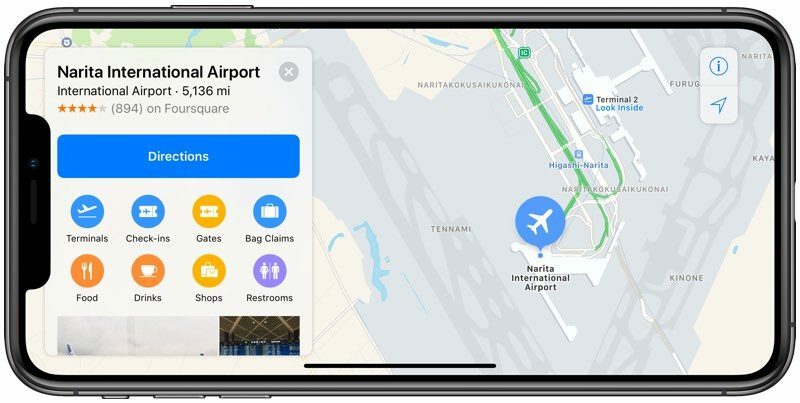 Many major airports have their own websites so there is likely some sort of data flowing between that directory and the Apple Maps database. No one in Cupertino is going to know that the Ice Cream Store XYZ in Narita Terminal 2 just started closing at 9pm on Fridays and Saturdays instead of the previous 10pm. The fact that Incheon still doesn't show up in Apple Maps (internal maps) or that ATL just got added isn't surprising at all. Sure, Apple would like to add all of the world's busiest airports but sometimes things don't work out as smoothly as one would hope in terms of data acquisition. Hell, I'd go as far as saying that providing an accurate internal map of Tokyo Station (the main train station in Tokyo) is far more important than providing the internal map at Cincinnati/Northern Kentucky International Airport (CVG) especially with all of the stores and eating establishments in the various levels. CVG handles about 7.8 million passengers annually. Tokyo Station's daily average is 450,000 passengers. That's right. Tokyo Station handles more passengers in three weeks than CVG handles all year. Heck, Tokyo Station is handling about 150,000 more daily passengers than ATL. Not listed on apples website (in English, at least) but I’ve noticed some of these have appeared in my city in China. Not every shopping mall (we have loads, more metro stations have two or more malls attached than the number that have 0) but a decent number of major ones now have indoor maps. I’m on my way to one now, and was hoping the restaurant I’m looking for was in the general vicinity of its previous point on Maps. Now I know for sure where it is and what floor. Awesome. A huge issue is how bad their business data is sometimes. I scroll around Manhattan, not exactly a backwater, and there's tons of stuff missing, businesses labelled in the middle of a block of buildings, stuff like that. For driving directions, Apple Maps works very well in my experience but when I'm doing local mapping I often feel let down.